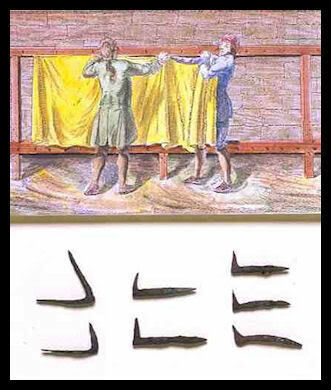 Tenterhooks were used as far back as the fourteenth century in the process of making woollen cloth. After the cloth had been woven it still contained oil from the fleece and some dirt. It was cleaned in a fulling mill and then had to be dried carefully as wool shrinks. were fixed so that as it dried the cloth would retain its shape and size. Also it would have been common in manufacturing areas to see tenter-fields full of these frames. by the local textile manufacturing family the "Porritts". In those days the newly made cloth was brought up the hill from the mills in the valley below to dry with the help of the wind passing through the tower. By the mid-eighteenth century the phrase "on tenterhooks" came into use. Meaning of being in a state of uneasiness, anxiety, or suspense, stretched like the cloth on the tenter. 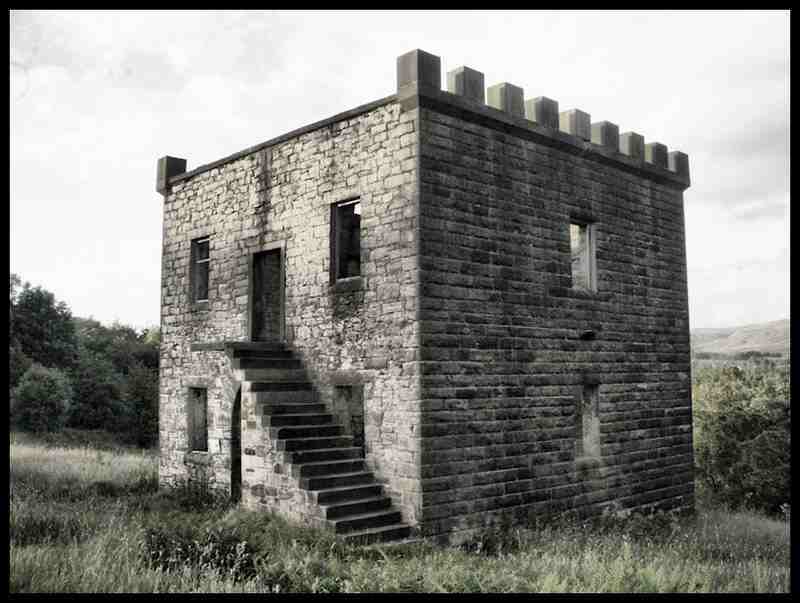 Lancashire Council is in the process of appointing an architect to design the interior and detail the renovation works required so the tower can be restored and then opened for public use. in the meantime plans have been drawn by the trust to fit gates and railings to openings to prevent vandalism or trespassers.